“Life is like photography, we develop from the negatives.” This had been handwritten on a white board at my chiropractor’s office. I ran into that saying another time that week, which prompted me to include it in my post. In this world of digital photography, some may not fully understand the concept of negatives so I will do a thumbnail explanation. 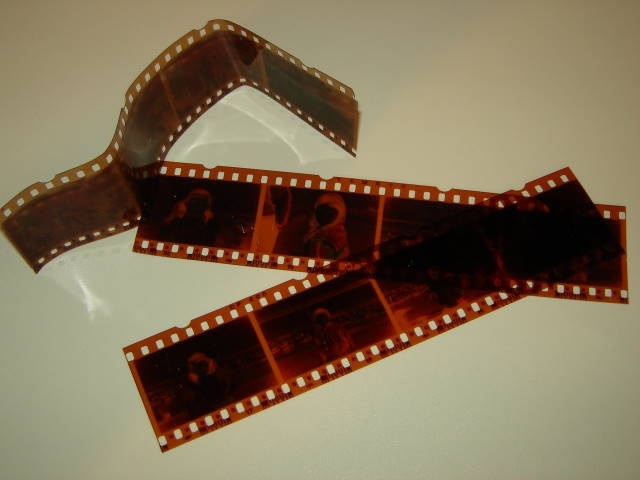 Actual film containing negative strips were used in yesteryear’s cameras before digital features became available. These strips made of transparent plastic film were used with extremely light sensitive chemicals to create photographs. When the camera shutter did its magic, the opposite of the subject photographed appeared on the negatives. The subjects were always in reverse. If the subject was a black car with a white back ground, the negative showed a white car with a black background and so on. During the photo processing, the negative along with some chemicals, developed the reverse photo from that negative onto photo paper exposing an accurate picture of the subject. Using this same analogy, negatives in our lives can greatly expose areas that need assistance and work to greatly benefit our human development, if…we can get past our onion-paper-thin-skin. We all suffer from veil-thin-skin. Even the most perfect model or excellent athlete tends to concentrate on the miniscule negative they find in themselves. Constructive criticism (negatives exposed) can work to our advantage when we are not crippled by things said to us we prefer not to hear, or when things in life turn a bit sour and we don’t want to listen to helpful advice. It is what we do with the circumstances that can bring success or defeat. But first, it must get past the sting on our ego. We have all heard that saying, “When life gives you lemons make lemonade.” There are plenty of people in the world making lemonade with their lemons. There are also those burning from the acidic property found in their lemons. Of course, the very creative ones make lemon cream pie. But what if what you really want is double fudge cake or strawberry cheesecake, then how are you supposed to “bloom where you are planted”? 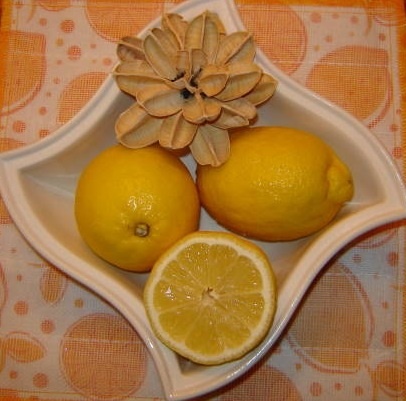 Just get creative with your lemons, is all I can say. How About Some Pie With Those Lemons? In my post Author’s B-Log, I wrote about holding myself accountable with my writing. I finished a writing course the end of February, which offered a free 1,500 word professional critique. What writer wouldn’t want to take advantage of that? I used my first 1,500 words of the memoir I am writing as the subject of the critique. I went over and over that manuscript. My husband read it several times till he was sick of it. We nitpicked it until we both agreed it made sense, grabbed one’s attention and was intriguing. Of course, my husband is a bit biased on what I write even when he tries to be strictly objective. Satisfied with the 1,500 words, I sent my critique in, and held my breath in anticipation of the assessment. Several weeks later, I received a four page editorial report. Let me just tell you. It ain’t called critique for nothin’! The use of the word critique is taken in a very literal sense. At first, I was amused when I opened the large envelope. The first piece of paper was a well written buffer letter, some might call it a disclaimer letter, about how the critiquing of a person’s work is always difficult and painful. I expected that. As a newbie author, I knew my manuscript would be critically evaluated. The letter’s author spoke of personal critique experiences with his own work. This author is not only the owner of the writing course company, but he‘s a well-known author with over one hundred very successful books out. He said the aim of the critique was to access and evaluate what I submitted. He also promised a level of encouragement and a direct commentary. Okay, that’s nice. I get it. I am being forewarned to get ready for manuscript surgery, but will also be shown my good points. I’m okay with this. My thin-skin stretched out to near translucency when I read the actual critique written by an anonymous critic. I was told I needed to work on planning and pacing. My first line, the major line that takes credit for hooking the reader, needed an overhaul. They said that indispensably important line was too long, and possibly even philosophical. I was told that I assumed that the reader would know what I knew, therefore I needed to be more informative to avoid confusion. I also needed to work on proper language usage and general presentation. I interchanged comas and semicolons. All right, I’ll give them the grammar thing. I read the critique and reread it. The things it said were not very clear to me at first. My punctuation and grammar I can work with, but whatever happened to the show, don’t tell policy? I don’t want to give out all the information in the first 1,500 words! Then he made a comment about a section where I say I am conducting a very important name search on my computer, find the information and dialed the number. This critique bordered on ridicule as the critic felt the reader would imagine a modern day office with an old fashioned rotary phone because I used the word “dialed.” Whaaat? This one really bothered me. Don’t the very push-button phones used in today’s offices have auto-dial and re-dial features? I rest my case. I quickly glossed over the part that was supposed encourage me. I was too frustrated to feel encouraged. My brain spun. I felt like the mother of the child who had been bullied at school. I talked to my husband, sort of ranted actually, about the critic’s audacity and ridiculous observations. He mostly agreed with me. Told you he was biased. I was so perturbed with the editorial report, I laid it aside for a few days. The subject matter was never too far from my mind, however, I mentally processed and re-processed those comments. up the manuscript and the critique again, slowly surrendering to the critic’s suggestions. I even began to agree with some of the comments, seeing what I didn’t see before. I asked God to show me ways to make this manuscript book-worthy, to forgive me for my less than mature reaction, and to help strengthen me through a better attitude. Unfortunately, as a perfectionist, I get severely bugged when things are imperfect, most especially, anything I work on. Once calm, I was able to concentrate on the promised encouragement at the end or the report. It said that if I checked punctuation and grammar, oriented the reader, and avoided any confusion about certain details, there would be a good market for the contents of my book. Growing up without a father, finding a sibling that didn’t know I existed and other harsh childhood experiences has that potential to be what a publisher is looking for, it said. I felt encouraged. This critic has barely read a fraction of my strange life story and thinks it’s got merit! Once I clean it up of course. Wow! That doesn’t sound so bad, now does it. Criticism is hard to take no matter how much one tries. Even though I felt I got the editorial version of Simon Cowell, the hard to please judge on American Idol, I realized each one of this critic’s professional comments was meant to help me, not harm me. No one wants to hear negative things about themselves, especially when we don’t want to believe certain things about ourselves and that criticism rings just a little too loud in our ears. If we cannot receive constructive criticism, our growth will be dwarfed. If we only choose to hear good things about ourselves and surround ourselves with “Yes” people, like in the movie The Yes Man, we may be relying on unhealthy admiration and pats on the back that keep us trapped in an unproductive world. There must be a balance. 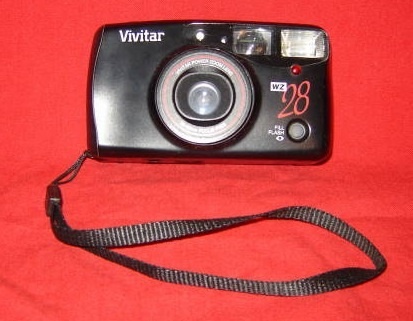 Back to photography. “What’s dark in the negative will become light in the development.” My husband said. I like that. The negative in our lives is often dark and dreary, but when we glean the positive and what we can get out of it, the light floods our developmental path. Proverbs 12:1 Whoever loves instruction loves knowledge, but whoever hates corrections is foolish. ~The criticism and negatives in this article do not in any way refer to cynicism or bullying people. I myself experienced bulling when I was a child. Destroying someone with words is just wrong. Thanks for finally writing about >Positive Negatives | His Eye Is On This Sparrow <Liked it!